Rating: Average 4.49 / 5 out of 186 total votes. 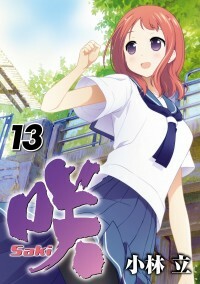 Summary: Miyanaga Saki is a high school freshman who doesn’t like mahjong. Ever since she was a child, she would lose her New Year’s gift money during her family mahjong game. If she won, her parents would be upset, and if she lost, well, she lost. As a result, she’s learned to play in such a way that her score always remains plus/minus zero: not good enough to win, but not bad enough to lose. When we meet her, she’s being dragged to her school’s mahjong club by an old friend. How will a girl who hates mahjong, yet has become adept at the game as a result of her upbringing, survive in this environment?